Some employers have been told by agents to buy a high deductible health plan and to tell their employees that they have a lower deductible. The employer then decides to reimburse the employee for a portion of any expenses incurred between the lower deductible and the high deductible health plan. The insurance carriers price their high deductible plans assuming insureds will pay the cost under the deductible. So when employers reimburse the employee by giving them a low deductible, the employee will tend to utilize more care than what the insurance company was expecting. 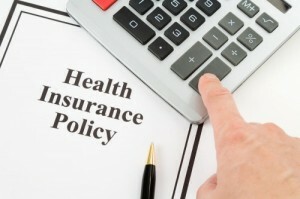 This is why carriers limit the plans that employers may self insure or “Wrap” underneath a high deductible health plan. (2) (a) provides reimbursement for health plan deductibles, copayments, coinsurance, or medical expenses, or (b) provides for the payment of set amounts in the event of hospitalization. Examples include: an employer-funded flexible spending account (FSA), a health reimbursement account (HRA), self-funding of the deductible, an IRS Section 105 plan, a medical expense reimbursement plan (MERP), or a hospital confinement policy. As defined herein, a wrap plan does not include a health savings account (HSA) or employee-funded general purpose flexible spending account (FSA). If you read my post from 10-26, you may know that I spent my weekend snacking on pain pills due to a tooth abscess. While scouring any medicine cabinet and drawer in my house (think of Ray Milland in “Lost Weekend”, Jack Lemon in “Days of Wine and Roses” or Lindsay Lohan offscreen and you get the idea) for pain pills I found that my strong suit is NOT cleaning out cabinets. Some of the expired or unwanted medications I had date back to 1991. 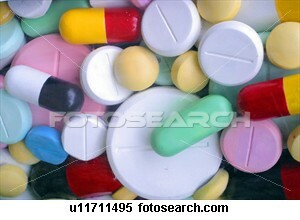 Now that I feel better I will be removing the old meds from my home. Hey, I have new stuff anyway. 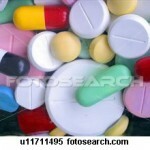 What is the best way to get rid of old or unwanted medications? It is not recommended that you either flush them down the toilet or down the sink drain. Modern water treatment plants are not fully designed to deal with medication disposal. The long-term health risks posed by consumption of even minute quantities of these medications in drinking water and the full extent of environmental damage remains unknown. It is also not a good idea to throw them in the trash. Safety experts strongly discourage throwing old medications into the trash where your children or pets can find them. Your trash will end up in a local landfill, where your medications could still have the potential to leach out. Instead, many municipal or local trash services now have local household waste facilities where you can safely drop off your medications for incineration. Call your local trash service for options in your area. There may be hazardous waste disposal facilities or drug recycling programs in your area. Look online for this information. You could also contact your local pharmacy or physician’s office to see if they have disposal facilities available. 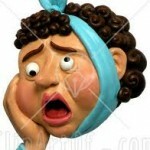 Is Dental Insurance All That Important? Today I am writing to you through a pain pill induced haze. Much better than the way I felt over the weekend, when tooth #30 finally gave out once again and decided to die in a very dramatic way – an abscess. 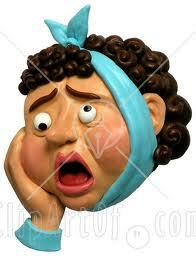 People say that a toothache is the kind of pain that “you wouldn’t wish on an enemy”. I would. But only if they were really, really bad. But I digress. I used to think that the only benefit to dental insurance is the discounts provided by either the access to the PPO network or by the selection of an HMO dentist. This still is true, the discounts are worthwhile. I now know that the $50 or so dollars I spend each month for dental coverage is far less that the amount I would have to pay on the full charges for the dental care I am now in process of receiving. Since I still have my wisdom teeth (pun intentional), I will illustrate how having dental insurance will save me money on the bridge now being made to replace the teeth pulled or ground down yesterday. The amount I will have to pay for the bridge is the same amount I will pay for my dental coverage for this year. If I didn’t have the coverage I would be reponsible for the full cost of the bridge, or $1,500. Almost as painful as the abscess. So to answer the question, yes I do think dental insurance is important. I think people dont realize the sense of having either dental insurance or auto insurance – both are considered as useless until something goes wrong. Yes I am feeling better now. I am grateful I have insurance – and the pain pills! What Is changing effective January 1, 2011? Over-the-counter medicines and drugs will no longer be considered a qualified medical expense. 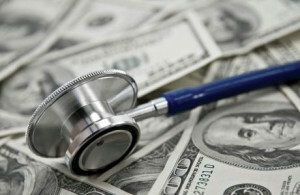 The penalty for using HSA funds for other than a qualified medical expense increases from 10% to 20%.